Iceland’s unique position in Europe has impacted its legislation. Iceland is a member of the European Economic Area (EEA). Due to the EEA Agreement, the single market of the European Union (EU) is extended to Iceland. The EEA Agreement is based on the primary legislation of the EU. The Agreement incorporates hundreds of acts made part of the internal legal order of the contracting countries, such as Iceland. The European Convention on Human Rights was also incorporated into Icelandic law. Legislative power in Iceland lies with the President and the Parliament, called the “Alþing.” The Alþing was founded in 930 AD and is the world’s oldest working Parliament. It was the world’s first democratic national parliament. Alþing was founded in Þingvellir National Park, though it was not declared a national park until 1930. Alþing was held outdoors in Þingvellir. It is now a protected site. In 1844, the Icelandic Parliament moved to Reykjavík where it remains today. Until January 1, 2018, Iceland courts were a two-tier system. 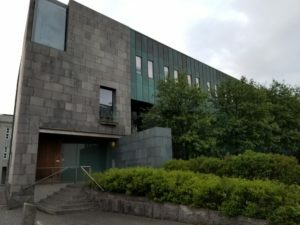 Since January 1, 2018, Iceland has been a three-tier system, with the addition of the Court of Appeal between the District Court and the Supreme Court. In Iceland, all actions begin in the District Courts. There are eight District Courts in Iceland presided over by 42 judges. This is similar to Colorado where felony cases begin in the District Court, or at least move to the District Court directly after a preliminary hearing. Like Colorado, now in Iceland, decisions of the District Court may be appealed to the Court of Appeal (or “Court of Appeals” in Colorado). In Iceland, there are 15 Court of Appeal judges (as opposed to 22 in Colorado). Sometimes, after a decision is made by the Court of Appeal(s), cases in both Iceland and Colorado may be further appealed to the Supreme Court, the highest court. There are 7 Supreme Court judges in both Iceland and Colorado. In Iceland, in most instances, the Court of Appeal is, however, the final ruling. Similarly, in Colorado, the Supreme Court does not choose to hear and decide all the cases submitted and the Court of Appeals is often the final decision. The District Court in Icelandic is called “Héraðsdómstólar.” The Court of Appeal in Icelandic is called “Landsréttur.” The Supreme Court in Icelandic is called “Hæstiréttur.” Unlike the Colorado Supreme Court, the Icelandic Supreme Court looks almost like any other building, or a aesthetically pleasing office building. As in our country, indigent defendants in Iceland may be granted a lawyer paid for by the government. In Iceland the Legal Aid Committee recommends this assistance or denies it, and the Minister is bound by the committee’s decision. The committee is made up of three lawyers. It’s decision is based upon a defendant’s application which will include information about the case and the defendant’s financial circumstances. 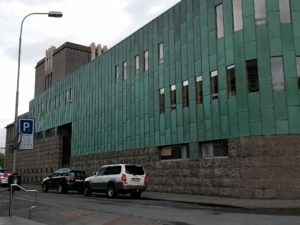 Unlike Colorado where the financial circumstances of the defendant and the severity of the case determine court-appointed counsel eligibility, in Iceland, the financial circumstances of the defendant and the merits of the case inform eligibility. Historically, Iceland’s crime rates have been very low. Violent crime is almost nonexistent there. According to the 2011 Global Study on Homicide by the United Nations Office on Drugs and Crime, Iceland’s homicide rate between 1999-2009 never rose above 1.8 per 100,000 people annually. This was unlike the United States where homicide rates during the same period of time were between 5.0 and 5.8 per 100,000 people annually. This has been attributed to equality and very little distinction in economic classes in Iceland with the overwhelming majority of citizens identifying somewhere in the middle class. When crimes do occur in Iceland they rarely involve firearms, despite the high per capita gun ownership in Iceland. Iceland ranks 12th in the world in per capita gun ownership, with 30.3 guns per 100 residents. While touted as odd, having a high per capita gun ownership rate is relative. The United States, by way of comparison, ranks first, with 101 guns per 100 residents. Therefore, residents of the U.S. have over 3 times as many guns per capita as Iceland. This puts Iceland’s “high” per capita gun ownership in perspective. Additionally, in Iceland, a person must pass a medical exam and a written test before obtaining a gun, unlike the U.S.
Also of particular interest in today’s continued headlines in our nation of police shootings is that police in Iceland are unarmed. Only police on the Viking Squad, a special police force (rarely used) carry firearms. Other reasons for Iceland’s low crime rate include low drug usage rates as well as a preference for preempting crime. In the last several years Courts in Colorado have created specialized courts such as drug court (or “recovery court”) and veterans court. These are fairly new concepts in our country. In Iceland, separate drug courts were established 45 years ago, in 1973. In the first ten years of Iceland’s drug court, about 90% of all cases resulted in only a fine. Clearly Colorado and our nation as a whole, with a history of being tough on crime and high incarceration rates for drug crimes, have missed the mark and only recently begun to make changes – long after a time when at least Iceland recognized a better, more effective way to handle drug issues.